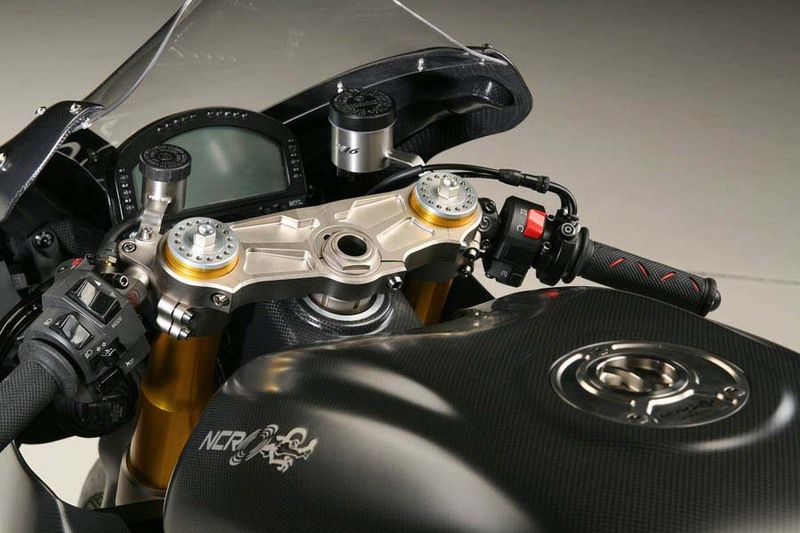 After teasing us last week with just a shot of the motor NCR Millona M16 motor, NCR has finally released full pictures of their take on the Desmosedici RR. 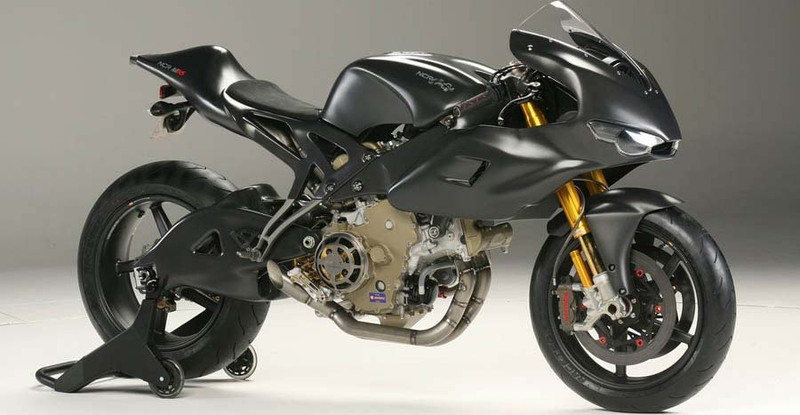 Weighting just 319lbs, and making over 200hp at the wheel, we called the NCR M16 a Desmosedici on steroids when we first saw the specs. 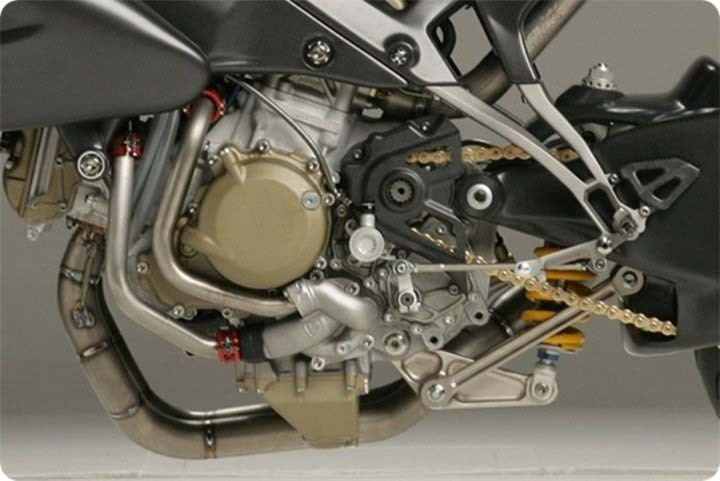 Now looking at the detail shots of the bike, we see plenty to drool over. Photos and more after the jump. 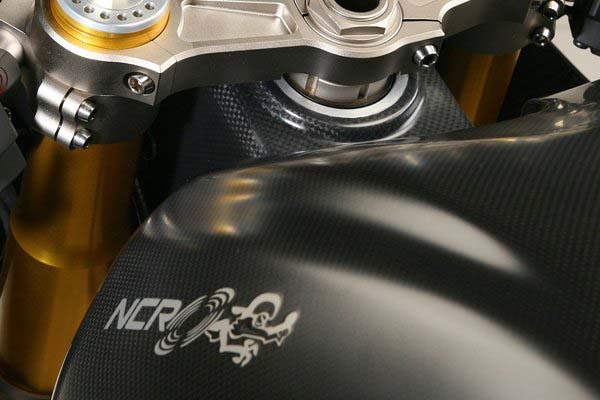 True to NCR form, everything is made out of either carbon fiber, titanium, or aircraft-grade aluminum…in that order apparently. 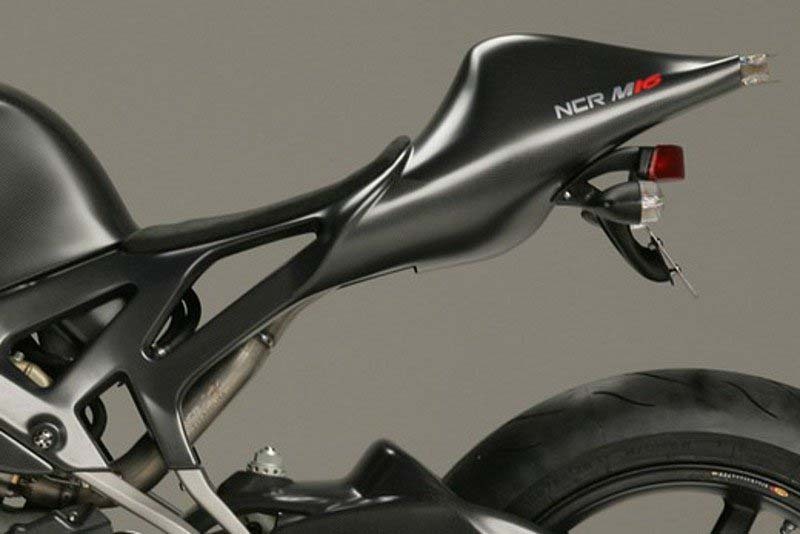 NCR went to great lengths to use carbon fiber where they could on the motorcycle, and as such the frame, swingarm, fuel tank, farings, integrated subframe/tail, and wheels are all made out of the material. 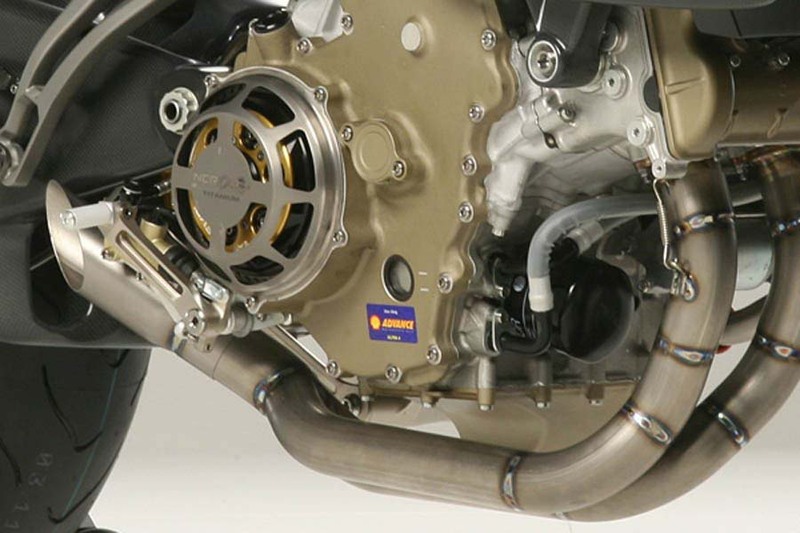 The exhaust is pure titanium, and from the looks of it a car alarm detector for sure. 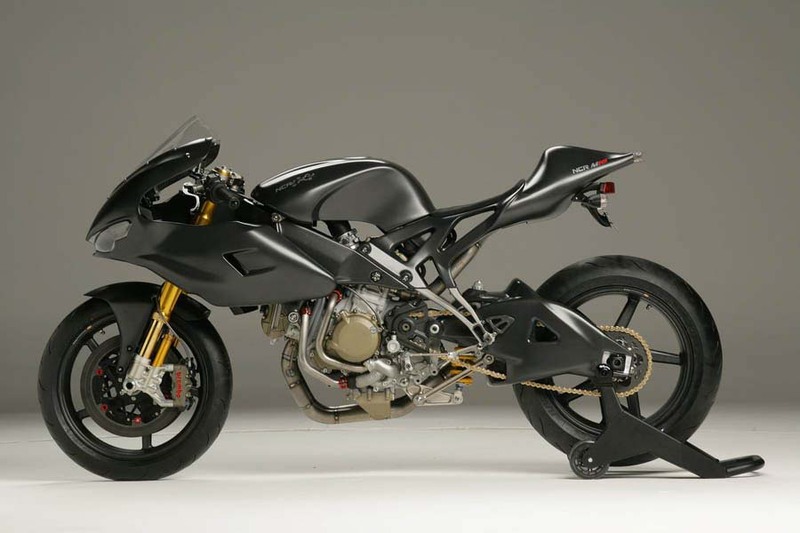 Note the side and under-seat placement in the photos. 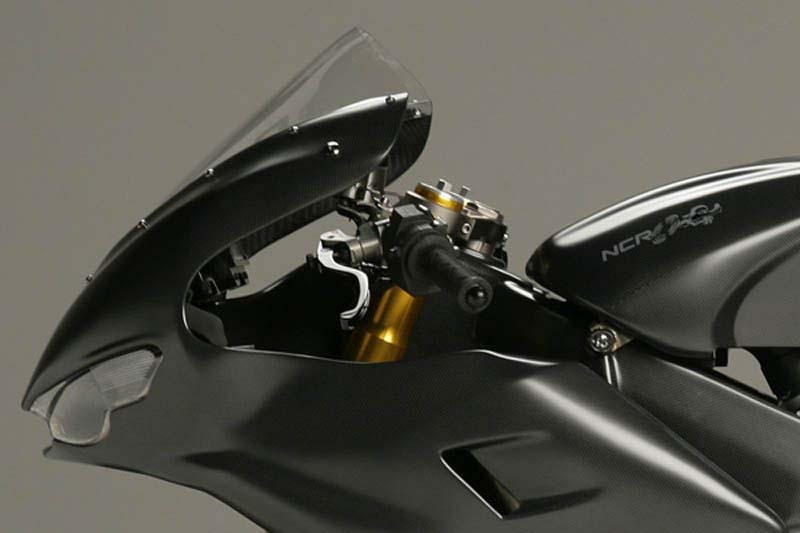 The NCR Millona 16 draws its styling from other NCR’s with the Millona name, and has a half-fairing instead of the desmo’s usual full-fairing look. 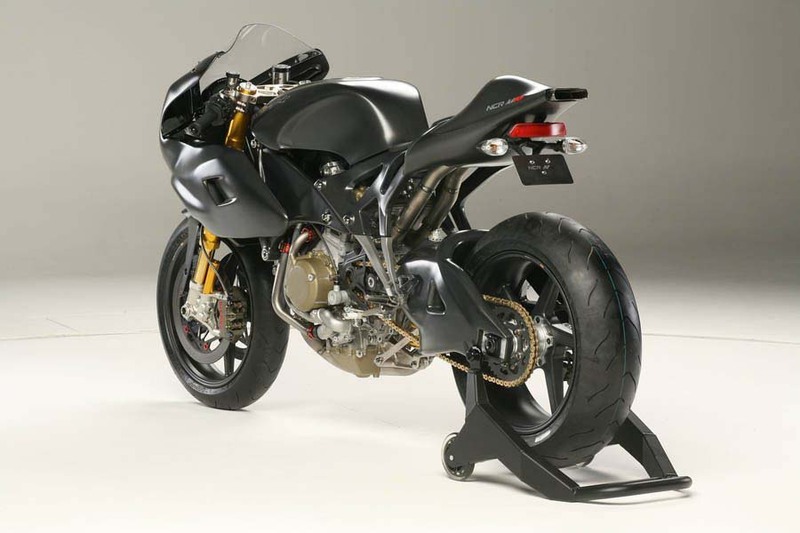 The result is an attractive street and track toy, which comes with all the telemetry, ECU maps, and traction control systems you’d expect on a fine track/race bike. 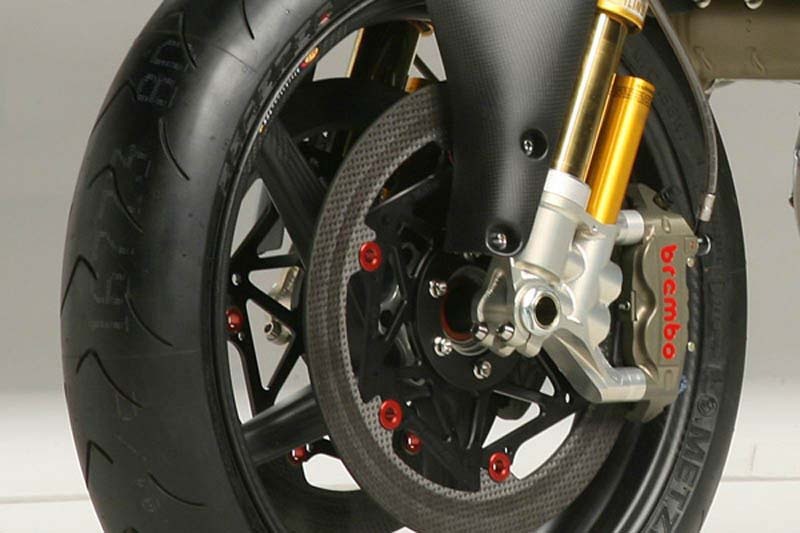 Along this vein, the NCR M16 comes with 43mm Öhlins FGR000 forks up front, and an Öhlins TTX monoshock in the back. Price? 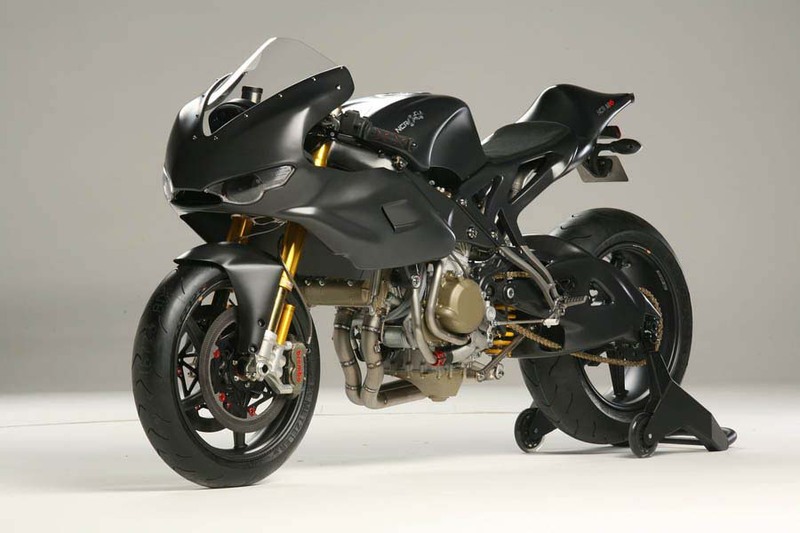 If you have to ask you can’t afford it. 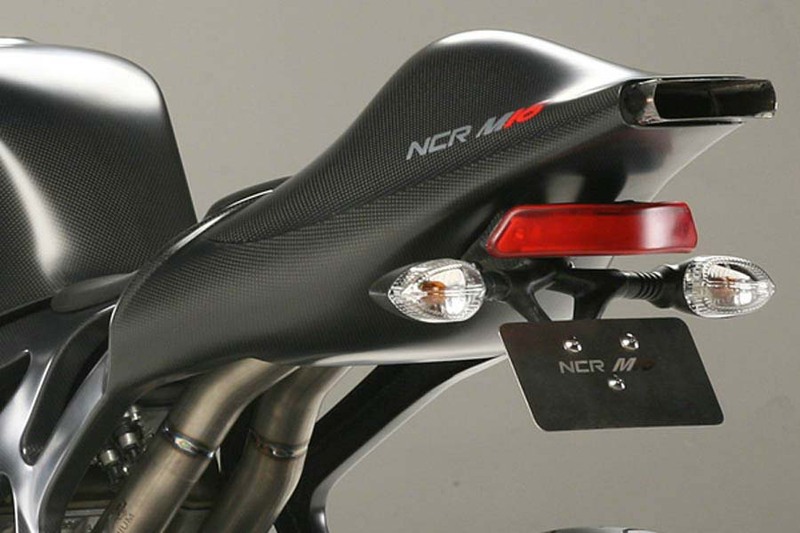 NCR is releasing pricing and availability upon request only.